55023 (L123) passes Kempston on 2 November 1994 with the 10:40 Bedford to Bletchley service. 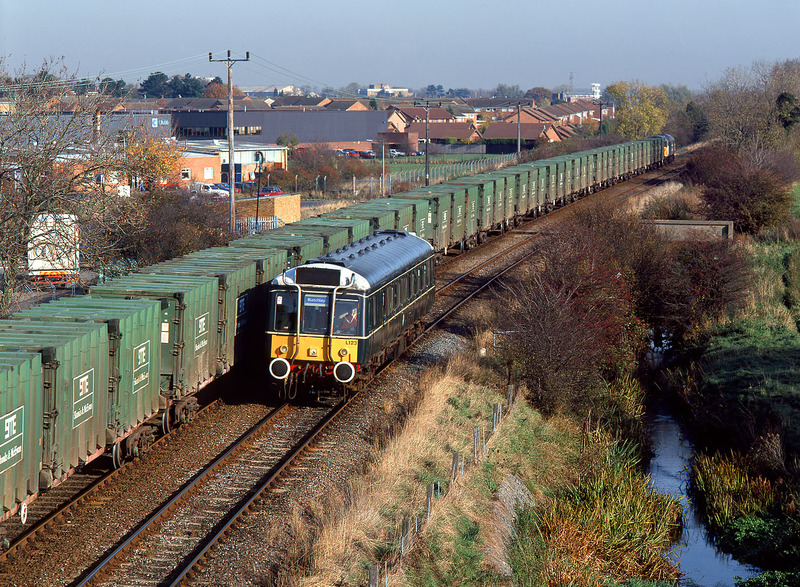 Heading in the opposite direction is 47016 Atlas with the 4C51 10:45 Forders Sidings to Cricklewood empty binliner. I know some people don't like this kind of picture, but I think it is really effective, contrasting the tiny bubble car with the mighty freight train.